« Where? In Freaking Eloy? 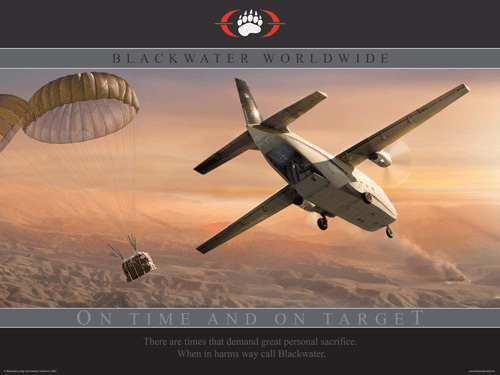 LOL, my guess is that they really don't want the precedent set that Blackwater will henceforth be held to Sharia law in Afghanistan. 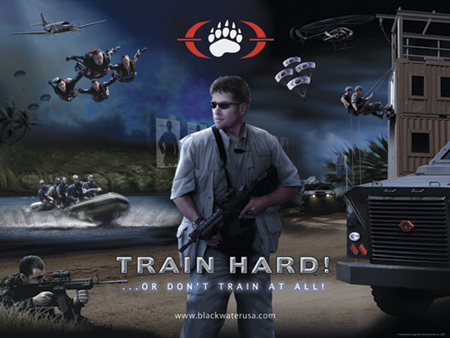 By the way, don't miss your chance to buy some gear or posters in the Blackwater company store. I found it randomly checking out their site. They actually have some really good looking posters, much better looking than the stuff sold in company stores where I have worked. What is the standard over there and how it will cost us.